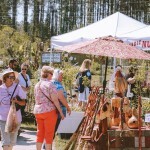 The expo will also feature talks by garden artisans and experts. Topics include Monarchs and Other Pollineighbors, Salt Tolerant Landscape Plants, Gardening for Mental Health, Invasive Plant Species,Landscaping for Florida’s Wildlifeand Growing and Culinary Uses of Fresh Herbs. You may even run into Davidson Realty’s Shirley Barber, who has spent nearly 15 years as a dedicated Master Gardener with the Garden Club. Shirley is also Assistant and Transaction & Marketing Coordinator for Davidson agent Suzy Evans. Admission is $5 for adults (good for both days) and kids under 12 are free. Food and drinks will be available for purchase. All proceeds benefit EPIC Community Services, which provides substance abuse prevention, intervention, outpatient treatment and aftercare services. 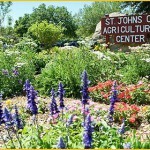 The St. Johns County Agricultural Center is located at 3125 Agricultural Center Drive in St. Augustine FL 32092 (accessible via exit 318, a.k.a. the St. Augustine Outlets exit). For more information, call (904) 829-3295 or visit epicbh.org/flower-garden-expo.